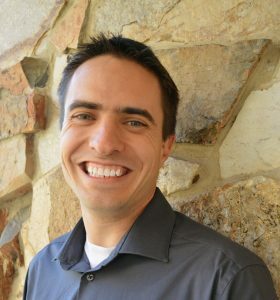 Today’s Pro Interview features Ben Beck, Digital Marketing Director at Kuali near Salt Lake City. Pagezii – Ben, please tell us a bit about yourself. Ben – I’ve always loved tech, marketing, business and entrepreneurship. When I was doing my undergraduate studies at the University of Utah, in Business Information Systems, I was involved in several marketing and entrepreneurial business efforts. One of our creations was a text message marketing system that was well before its time. It wasn’t marketable but we were able to sell it to the state of Utah for a tour system they were establishing. Those were my early starts in martech. Over the last ten years I’ve been heavily involved in digital marketing and martech; everything from pay-per-click advertising to managing marketing automation systems. When I’m not geeking out with martech I like to spend time with my wife and two boys. I’m currently finishing up an Executive MBA at Brigham Young University. Pagezii – What is Kuali? Ben – Kuali is software built by universities, for universities. It is a set of software solutions that universities use to better manage their finances, research, student systems and emergency planning. The software actually started out as an open-source initiative between a dozen or so large universities – Indiana University, MIT, etc. After about ten years being built only by these universities they saw a need for a central organization to shepherd the code through to completion. So they founded our organization, Kuali, about 3 years ago. We now have over 150 universities and colleges using our software. Pagezii – What key marketing metrics do you measure in your campaigns? Ben – Measurement is one of the most important elements to digital marketing. If you can’t measure it, you can’t prove that it’s working, and you can’t further optimize it. We measure everything from elements as simple as traffic and bounce rate, to elements as complex as sales stage progression velocity. Our main KPIs in marketing, though, are the number of marketing qualified leads we are generating and the percentage of those that go on to sales accepted leads versus going back to nurturing or being disqualified. In our content marketing efforts we have seen that measurements as “fluffy” as social media impressions do translate to greater success for our sales reps. That said, those impressions are difficult to align with MQLs and closed won deals, and often there isn’t a directly observable correlation. Instead, for social media campaigns, we often rely on discussions with the sales reps. The sales reps will tell us that their outreach efforts are a lot easier after we’ve done a brand-impression-heavy campaign on social channels. Pagezii – How can a business make their content resonate with the market? Ben – For the last 18 months Kuali has been doing a lot of webinars. We’ve seen great success with them because they have been loaded with great content that customers and leads see as being truly valuable. 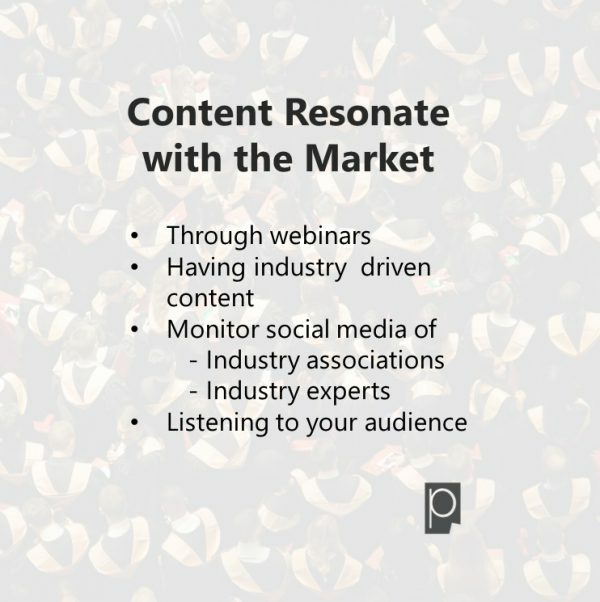 To a large degree, we have allowed the industry to drive the content we’re including in these webinars. We’ve kept a close pulse on industry associations and experts among our users – watching everything from their social media posts to their Youtube channels. We’re watching to see what is resonating with their sphere of influence and then we’re trying to create webinar programming that complements and adds on to the discussion. In my opinion, the most important thing you can do to ensure your content marketing is resonating with your target audience is to listen to them. See what your audience wants, and fill in the gaps! Pagezii – What’s in the horizon for Kuali in 2017? Ben – At Kuali, one of our driving mantras is “iterate to evolve.” We all live by that mantra, always looking for areas where we can improve something internally so that we can make a bigger difference in the higher-education space. Some other big changes we’re making in our martech driven efforts are: spinning up ABM efforts, expanding our auto-triggered direct mail campaigns and tracking leads more tightly through the full sales funnel. We’re also redoubling our content marketing efforts. In just the last 2 months we’ve already doubled our content marketing output and subsequent leads, and plan to scale it even further. Pagezii – Thank you, for a very insightful interview Ben.